I’ll speak when the time comes. 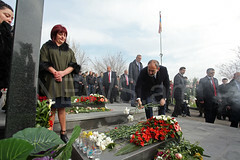 This is what Third President of the Republic of Armenia and President of the Chess Federation of Armenia Serzh Sargsyan told the reporter of Armenian Public Television on 19 March. 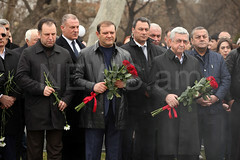 When asked why he doesn’t make any public speeches following his resignation, Serzh Sargsyan said the following: “I’ll speak when the time comes. 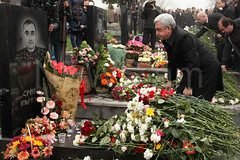 I’ll give a public speech when I find it necessary,” Serzh Sargsyan said.